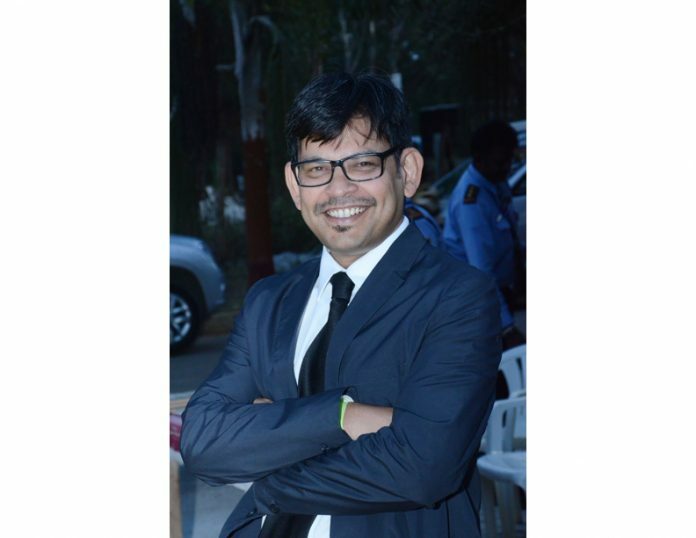 The UPS market in India will witness strong growth in the future, informs Palash Nandy, CEO, Numeric during an interaction with Electrical India. Please take us through the milestones of the company. Established in the year 1984, Numeric is now one of the top three UPS manufacturers in India. 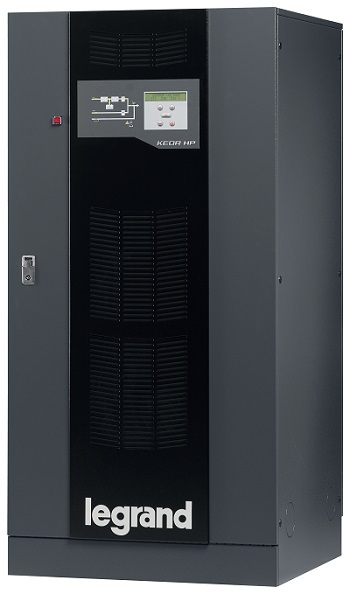 Numeric introduced its first UPS in the year 1985. And subsequently, we also launched other power conditioning products. The combination of having very good quality products with the best-in-class service infrastructure helped us to build a sustainable business model. Today Numeric has evolved as the undisputed leader in Single Phase UPS and Line Interactive UPS for the last 25 years. Numeric has a complete solution in UPS across Line Interactive, Online Single Phase, Three-Phase and the latest generation Modular UPS. This enables Numeric to cater to any application from 600 VA to 21 MW and across all market verticals. Numeric, over the years has built the largest service networks, consisting of 254 service centres across India. Close to 1,200 people are dedicated in the service operations, of which, there are close to 900 field technicians. We provide our customers with proper service irrespective of their business locations. Being a part of the Legrand group, Numeric now gets access to the best-in-class technology worldwide and our own experience in the domestic market provides us fantastic market knowledge. We now proudly mention ourselves as a GLOCAL company- Global expertise and local knowledge. We have recently unveiled our new identity. It builds along four pillars – innovation, smart solutions, power to people and preemptive partnership. Our new identity is – new energy to power. What is the USP of your products? What kind of innovations would you like to make in your products to make them more energy and cost-efficient? What sets Numeric Group apart is a combination of two amazing advantages. Firstly, Numeric became a part of Legrand Group in 2012, which gives us complete access to Legrand’s global expertise. Secondly, we have a strong experience of the Indian market and are precisely aware of the customer requirements. So, our global expertise coupled with local experience and knowledge is a perfect combination which is extremely difficult to beat. Another amazing benefit of Numeric is our broad and strong product portfolio and exemplary service. We are perhaps the only company with a wide product portfolio from 600 VA to 21 MW catering to diverse applications ranging from small projects to large data centres. This is further complemented by our extensive service network. We, at Numeric, are constantly engaged in maximising value for our customers. Maximising value in terms of technological advancement, customer friendliness in terms of product usage, installation, commissioning and after sales; and provide customers the right service back up. We do not believe in only price competition. We strive to provide the best price vs value proposition to our customers. R&D at Numeric has been an important asset and a growth driver. Our R&D centre in Chennai enables us to ensure that the products we introduce in the Indian market are perfectly adapted to Indian conditions and habits. We strongly believe in making products environment-friendly and user-friendly– right from selection to installation, to commissioning, usage and trouble shooting. Our products are extremely energy efficient, compact with minimum footprint. We have been introducing new products at a fast pace. We have introduced three new ranges in the last one year – Keor HP, Keor HPE and UPSaver. All three ranges are extremely energy efficient. In fact, they are the best in class in India today. Along with that all products are extremely customer friendly – small footprint thereby, saving space, easy for installation, commissioning and maintenance. These products are suitable for various applications like large data centres, IT/ITes, industrial, commercial and infrastructure applications. What is your take on digitisation of UPS? UPS systems have become an important part of commercial and industrial sectors such as IT or ITES, BFSI, healthcare, retail, educational and research institutes, telecommunication, textile industry, etc. Digitalisation is inevitable in the UPS category. With the advent of IoT and Industry 4.0 UPS will also be expected to be connected. All our UPS are extremely communication friendly. Our range has plenty of connectivity options like USB, RS485, SNMP etc. Through these options it’s perfectly possible to supervise and actuate UPS installations from remote. Thereby, ensuring fool proof operations and minimum downtime. What kind of hurdles do you face while offering the company’s services or products? What kind of support would you expect from the government? Due to lack of standardisation- we would like Bureau of Indian Standards (BIS) to be more proactive in terms of ensuring that the products that are being sold in India adhere to the standards prescribed by BIS. There has been a lot of progress in recent years in terms of making BIS registration mandatory for UPS upto 10 kVA. What needs to be strengthened is the surveillance of the implementation of the same. There is volatility in the price of lead and the USD exchange rate. Lead is an important component and in the recent months and it has been extremely volatile. This affects the input costs and as a consequence the price and margin. Same is true for USD. Some of the market segments have become extremely price sensitive. The only factor that has been considered is the price and not the value. Hence, a lot of cheap imports are coming in. GST implementation has been a great help in making the market better in terms of compliance. This should help all organised and professional manufacturers like Numeric. Major manufacturers like Numeric should play a more active role in educating or informing the market stakeholders about the technological changes and its benefits. Import of Chinese equipment is still a matter of concern for the industry. What measures would you suggest overcoming this problem? At Numeric, we constantly engaged in maximising value for our customers in terms of technological advancement, customer friendliness in terms of product usage, installation, commissioning and after sales provide customers the right service back up. We strongly believe that once consumers have enough of information, they will be well equipped to take informed decisions. Hence, all leaders of the industry should be investing in making the customers more informed. We at Numeric are constantly engaged in the same. In line with our objective of continuously upgrading of product offer, we have launched new products. Our recently launched UPSaver® has flexible operating modes for large facilities, data centres and business-critical applications, the new range allows users range upto 21 MW. The Government has up-scaled the target of renewable energy capacity to 227 GW by the year 2022. Going ahead, what potential will it generate for the power segment? We already have products that are compatible with renewable energy sources like solar and wind. As part of the Legrand group, we are closely watching and contributing to the discussions and developments that are happening in this space and would be ready with required products as and when the demand for the same would arise. We expect incremental business opportunities for the power segment as a result of this development in the renewable energy space. The UPS market in India will witness strong growth in the future. This growth will be driven by segments like Data Centres, Infrastructure, Healthcare, Education, Modern Retail etc. On top of that initiatives like Smart Cities, digitalisation, ICT @ Schools etc will positively impact the growth of the UPS market in India. This is over and above the need for clean and consistent power for all electronic applications.